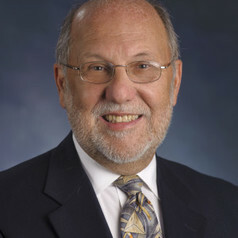 The founding Dean of the School of Public Health at Georgia State University, Professor Eriksen has led the university’s public health program since 2002. He received his training at the Johns Hopkins University School of Hygiene and Public Health and has had a long and distinguished career in public health. Dr. Eriksen has been employed in a variety of settings, including academia (University of Pennsylvania, University of Texas), the private sector (Pacific Telephone), state government (Maryland Department of Health and Mental Hygiene), Federal government (CDC), and international organizations (WHO). Dr. Eriksen has published dozens of peer-reviewed articles and is co-author of The Tobacco Atlas, published by WHO. Dean Eriksen is the lead researcher on a $19 million grant, the largest in Georgia State history, to establish one of 14 Tobacco Centers of Regulatory Science (TCORS) funded by the National Institutes of Health and the Food and Drug Administration. Georgia State, with its partners, the University of Illinois at Chicago and RTI International, will focus on a particularly important and often overlooked aspect of regulatory science, the understanding of human decision-making around the use of tobacco. The Georgia State TCORS will conduct three research projects to examine human economic behavior, consumer reaction to tobacco marketing and individual perception of risk of using novel tobacco products. During his time at CDC, Dr. Eriksen was Director of the Office on Smoking and Health where he played a leadership position in attempting to develop tobacco control policy for the United States. Dr. Eriksen received numerous awards for his work including the Tobacco or Health Commemorative Medal from WHO. In 2004, the Georgia Cancer Coalition designated him as a Distinguished Cancer Scholar. Eriksen was senior adviser to the World Health Organization and the longest-serving director of the Centers for Disease Control and Prevention’s Office on Smoking and Health. He has published extensively on tobacco prevention and control and is co-author of The Tobacco Atlas, Fourth Edition, which focuses on the global tobacco industry. He recently created and launched the Tobacco Portal, a web-based resource for tobacco-related facts and data. Professor Eriksen teaches classes in the social and behavioral sciences, urban health, tobacco control and global health. He was the Founding Dean of the Institute of Public Health (now School), and serves as Director of the Partnership for Urban Health Research, and Principal Investigator and Director of the Center of Excellence on Health Disparities Research.